Jerod Morris is the VP of Marketing for Copyblogger Media after having been the content manager last year. He oversees marketing efforts and manages social media and their blog. He started by writing his own blog from home and after a successful and surprising post, saw the effects of social media and content marketing! 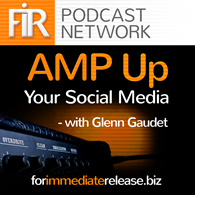 Jerod recently joined AMP UP Your Social Media’s host Glenn Gaudet to discuss social media and the impact of content on the success of your strategy therein. Don’t overthink it. When you’ve hit a writer’s block, become audience- and customer-focused. What are their questions? If you don’t know them, then it’s time to have a conversation to get to know your customer base! Start with a conversation. Your content is basically just a conversation with your customers. Talk to your market, and syphon your enthusiasm from those engagements! Don’t underestimate your usefulness. Nothing is too rudimentary or too mundane to share with your market. Many of the things that you may take for granted could be a complete mystery to your clientele. Find your ideal customer. Look at the person you’re trying to reach, and design your content and strategy on the level that matches those types of customers. Understanding your audience helps immensely in this step. Use visual cues. Podcasting allows for more personality and story telling, and many overlook the benefits of a podcast. At the same time, integrate infographics as well when possible. Even better, podcasts can sometimes get translated into an infographic for reuse later. 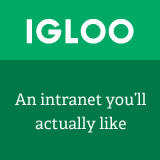 Slideshares and anything visual usually works well across the board. Jerod would love to hear from you! Chat with him on Twitter or connect with him on LinkedIn. You can also visit his webiste at http://jerodmorris.com/. A graduate of law school, Jerod has worked his way from blogger to VP. Jerod is a boyfriend, brother, and son who indulges in his love of Indiana University basketball by hosting The Assembly Call (a live postgame show) and Podcast on the Brink (a regular podcast for InsideTheHall.com).